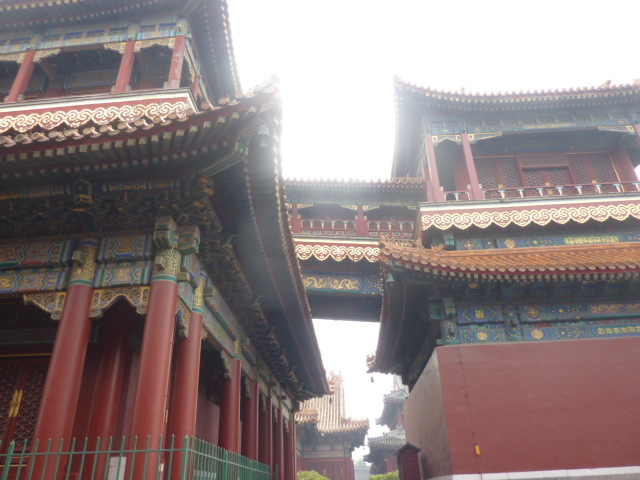 Yonghe Gate, originally the main entrance to it is now called Devaraja Hall (Hall of the Heavenly Kings), as there are the statues of four very powerful Heavenly Kings located on both sides of the inner palace walls. 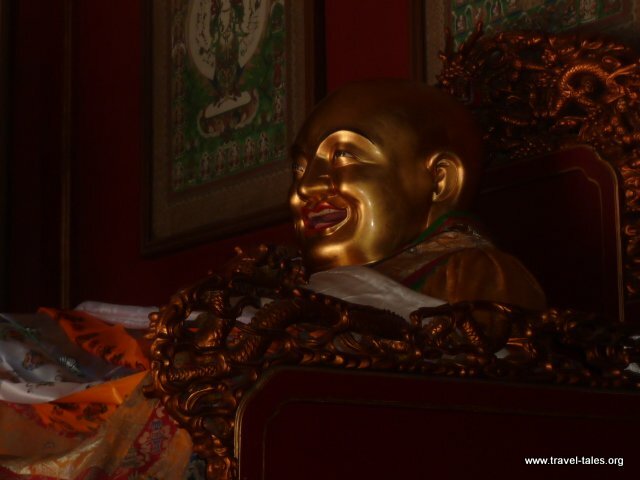 Located in the centre of the hall is a smiling Maitreya. Just outside this hall is an ancient copper cooking vessel made in 1747 during the Qing Dynasty. 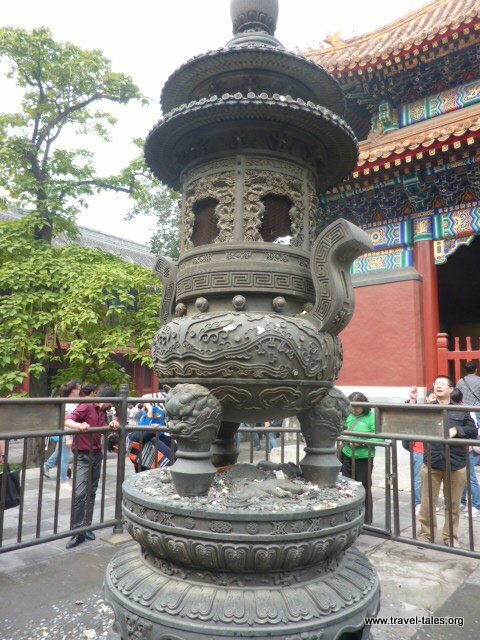 This vessel, which appears to be black with a white marble stone base, has high artistic value and is among ‘the three rarest things in Beijing’. Six doors are inset into the upper part of the vessel, with two dragons playing with a ball cast on the doors, and there are three lions playing with a ball engraved on the base. Around the temple grounds there are many incense burning sites as well as a number of sculptures of “hills” – at least this is what the guide book translates them as. This one is called Xuyu, a sacred place of rich religious meaning which was built in the middle of a pool, and represents a place to which all Buddhists are eager to go. Hall of Harmony and Peace (Yonghegong) is the main hall. There are 18 Arhats (statues of Buddha disciples) positioned on both sides of the Hall. Wanfuge (Pavilion of Ten Thousand Happinesses) is the last formal hall to be visited in this complex and houses the largest Buddha statue. It has three storeys with a bridge from another building at about eye level of the giant buddha. 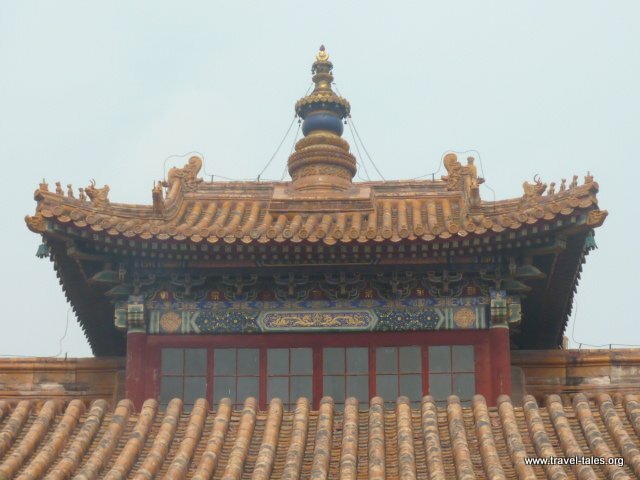 Inside this pavilion there are tens of thousands of Buddhas displayed along every level, and in the centre there is an enormous statue of Maitreya positioned on a white marble base. The statue is supposed to have been carved from one piece of sandal wood.